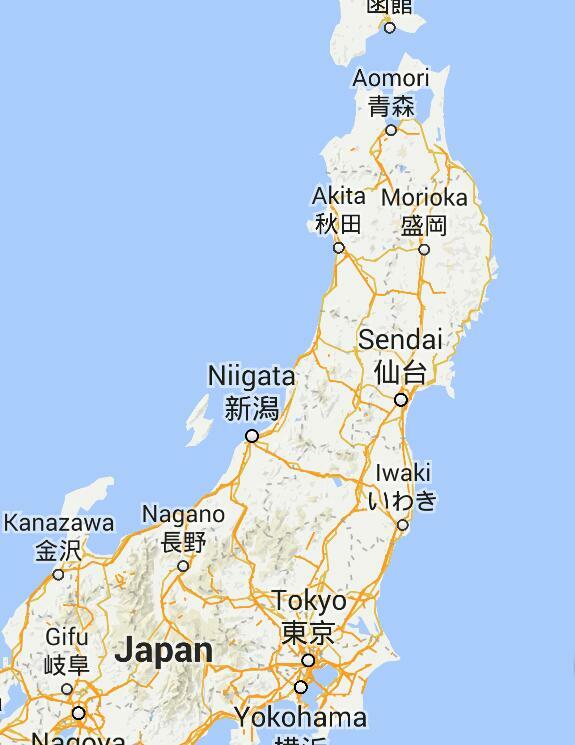 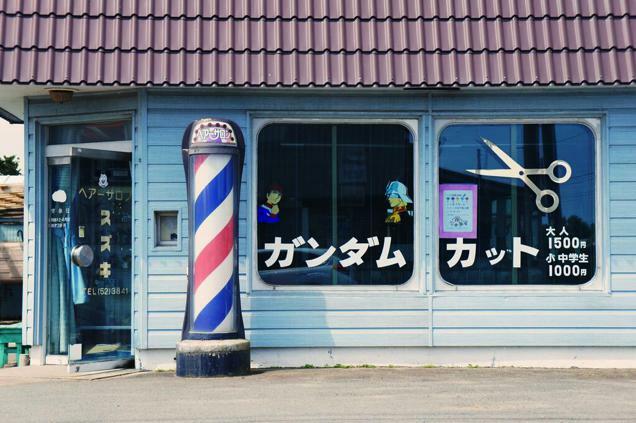 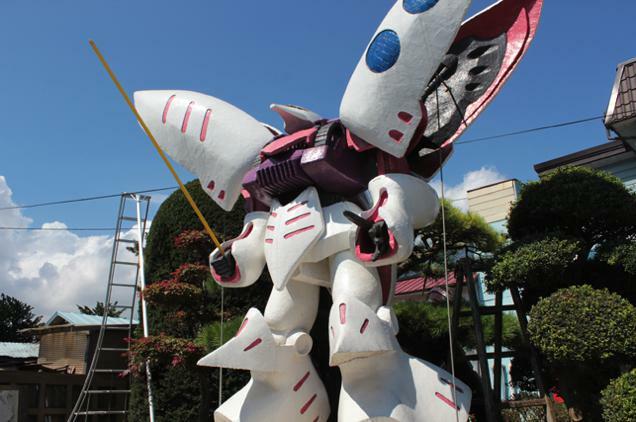 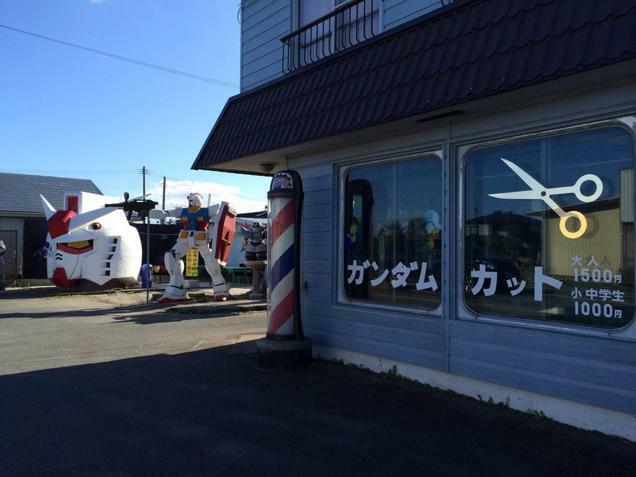 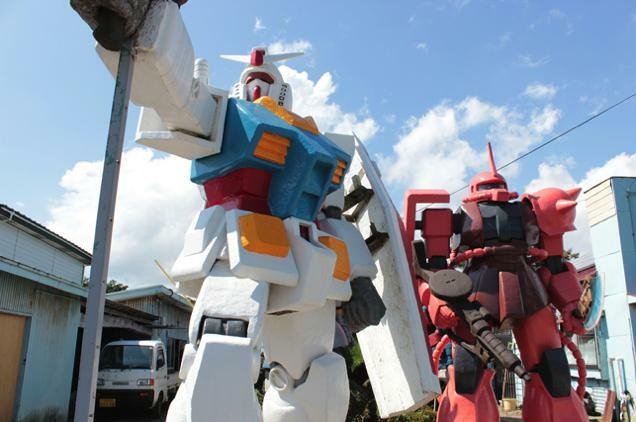 ガンダム カット” , “Gundam Cut.” is a Gundam-themed barber shop in Aomori Prefecture, Japan. 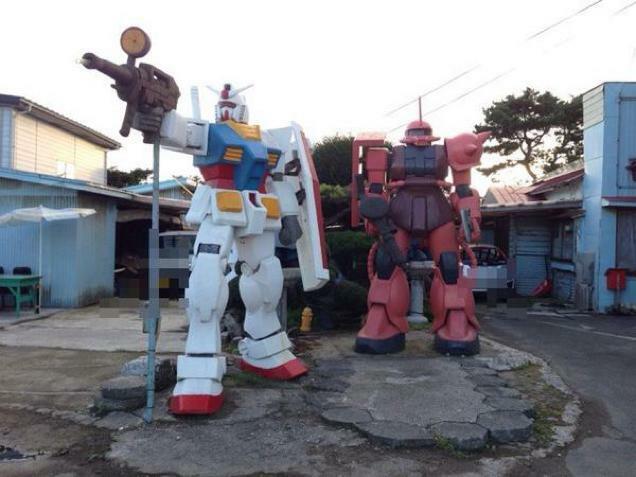 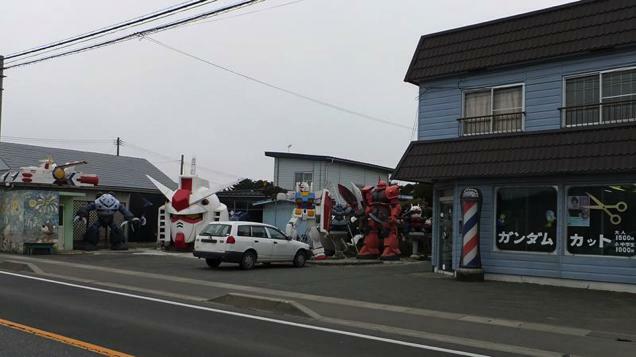 This barber shop doesn’t actually have Gundam inspired hair cuts, but what they do have are a ton of Gundams in their driveway. 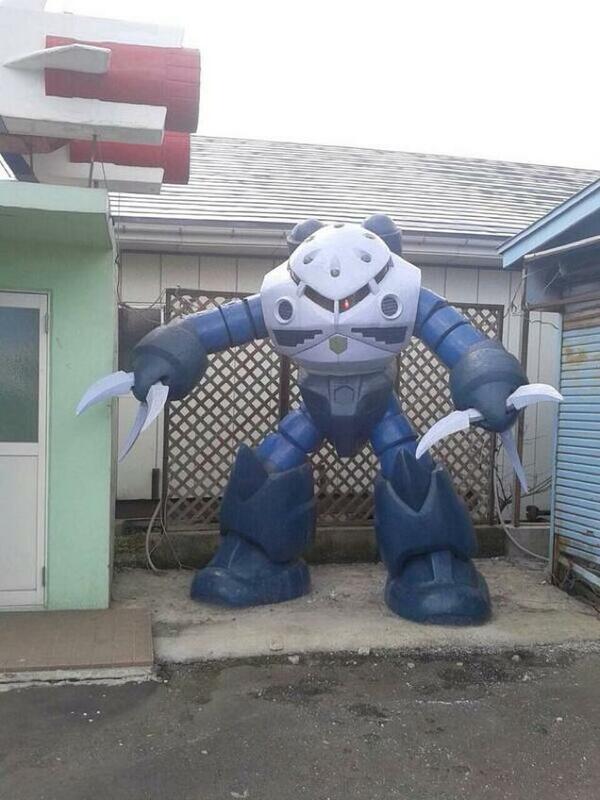 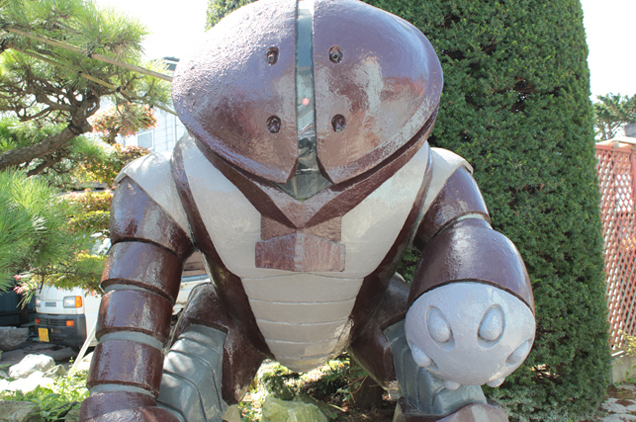 The barber himself builds these monstrous mechs for fun and takes him (sometimes) up to a year to complete. 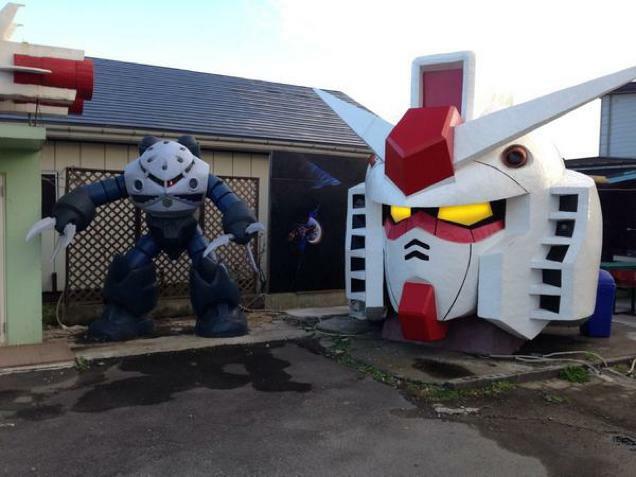 He said a costumer said “Gundams are cool” and the next thing he knew he has spent 10 years making these magnificent statues.